"Heaven gained a true Angel today. Uncle Dan, you were so special to so many peop"
Daniel Roger Kizer, 85, of Mineola passed away Wednesday the 26th in Mineola, Texas. The family will receive friends and family, Saturday the 29th at Beaty Funeral Home in Mineola from 10:00 am to 11:00 am. A memorial service will follow at 11:00 am at Beaty Funeral Home Chapel 5396 S. State Hwy 37, Mineola Texas. 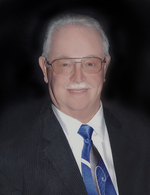 Mr. Kizer was born March 22, 1933 in Mineola to the late Elizabeth and Daniel Kizer. He was a member of First Baptist Church in Mineola and a volunteer Sunday School Teacher at Wood Memorial Nursing Home. He taught Auto Mechanics at Mineola High School for 20 years and was in law enforcement in Wood County. He was a member of the Marine Corp League in Mineola and a active member of Toys for Tots. Dan was also a 32nd degree mason. He was preceded in death by his parents and by his son, Daniel Mark Kizer. He is survived by the love of his life, his wife of 64 years, Dorothy Sue Kizer; his sister, Diane Harris, his son, Craig Kizer and wife Karen; grandchildren, Kara Kizer, Krista Dabney and husband Travis Dabney, Brandon Kizer and wife Charmayne; great grandchildren, Alexis, Alayna and Kennedy Jane. A special thanks to the nursing home staff of Community Care Center in Mineola and Hospice of East Texas. In lieu of flowers donations can be made to Toys for Tots care of coordinator Larry Beason 416 N. Pacific St. Mineola Texas 75773. To send flowers to the family of Daniel Roger "Dan" Kizer, please visit our Heartfelt Sympathies Store.